Merry Christmas!! I know we haven't even passed Thanksgiving yet, but my Christmas music has been playing off and on since October. Sorry I'm not sorry. I love Thanksgiving and my love of Christmas doesn't overshadow that, but I'm starting some of the Christmas festivities early here on the blog because I want to help you be prepared! So listen, never have I ever sent out Christmas cards. I usually make my own unique cards and send them out to a very small group of people. But I really wanted to give official Christmas cards a shot this year so that I could spread the Christmas cheer far and wide. Minted is my go-to for all of my printed paper needs, so I immediately headed over to look through their beautiful holiday photo card options! Minted works with numerous artists to create their holiday card designs, and earlier this year I even got to vote on some of my favorites! How fun is that? I scrolled through card after card trying to make a decision for days. Just ask my friends...I bugged them to death asking them to help me pick between different options. They still love me, I think. ;) After a lot of back and forth, I finally settled on the adorable Big and Merry cards. 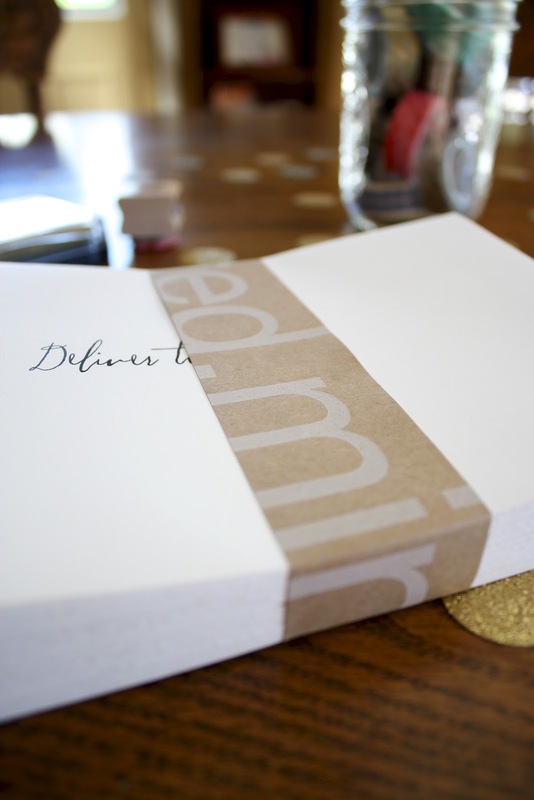 One of the perks of using Minted for your holiday cards (aside from the fact that they are already incredible) is that they do free recipient address printing! My hero! Oh my goodness, it is saving me so much time! There are several beautiful options, and I am sure you can find one that fits with your style. 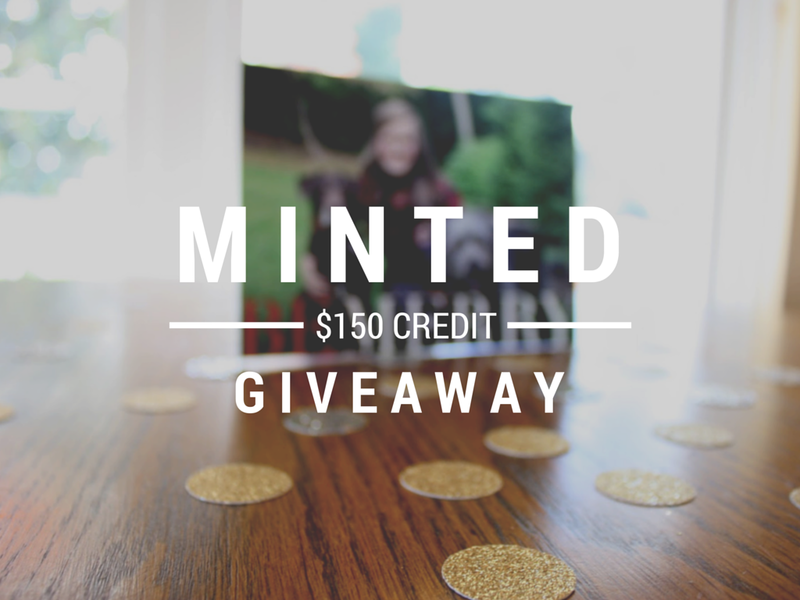 Today, Jordyn of She Who Fears and I are giving you the opportunity to win $150 to Minted so you can order your very own Christmas cards! I'm so excited to be able to give one of you this little gift, and I can't wait to see what cards you use! merry scriptmas christmas photo cards by rebecca turner is my favorite. Love your cards!!! And I need to meet your pups one day. And then take them home with me. Ooooohhh. This is such an awesome giveaway!!! I love the "Spirit of Christmas" cards. My Christmas cards MUST say Christmas on them. I love the book of Isaiah one. I love the Merry Wish one! Also - I absolutely love the photo of you with your dogs! So cute! I love your cards, Megs!!! Adorable! I love the Oh What Water Color card and the complete tred card because I can never decide on just one photo! I'm loving the Winter Brush Christmas card! It's so classy. Love the Brightly Shining design! I like the Cheer + Love! These cards you chose are totally adorable Meg! This is the first year that I am going to do Christmas cards- and I am so excited! I am totally hoping I win this! So many that I love! Hand painted branc is one of them. Totally in love with the one you choose out. Who wouldn't want to keep it up on their fridge the whole year? You + cute dogs + Minted = yes please! My favorite card is the hand painted branches! Totally love the hand printed branches! So unique and adorable. I like the card called Glaze. My friend Shauna inspired me to start doing Christmas cards several years ago. It's a tradition I love! Your cards are super cute! I think my favorite Minted designs are "A Little Christmas Whimsy" or "Oh Holy Night Sky". I think I am going with a foil card this year! I like the merry & Bright ! I like the Rustic Christmas holiday cards! I LOVE the "aglow" card. 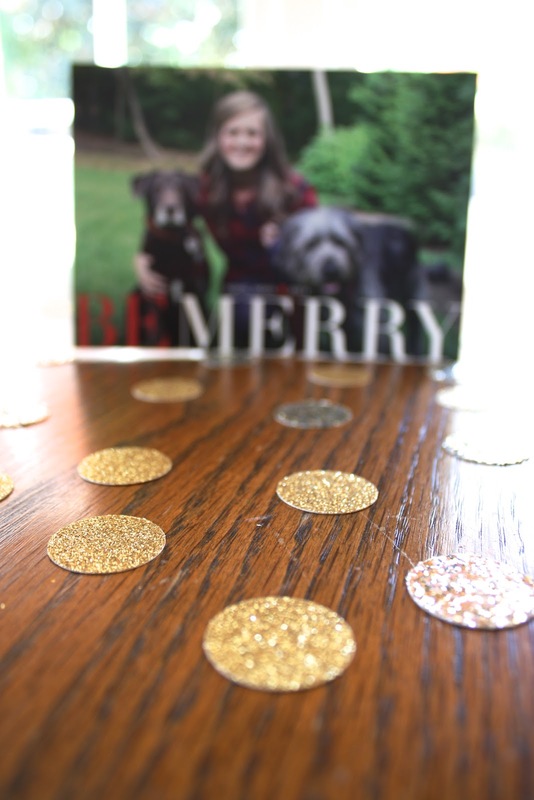 I've used Minted.com for my Christmas cards before, and they were beautiful! It's not a card necessarily, but I'm OBSESSED with their gold foil prints! I like the Holiday Map card. I made and sent out Christmas cards a couple years ago to my family. I love sending out Christmas cards in general and it was so fun making my own with a picture of me on it. ha! My parents still have theirs up on the fridge! I would love to make some more and keep it a tradition! I love the "Glaze" card that says "Wishing you Joy!" I'd go with the timeless greeting holiday photo cards. I am loving the foil cards this year! The wonders of his love might be one of my favorites! My favorite is Instant Film. Thanks for hosting. I love the Heaven + Nature one! Actually, I love them all!